Stellar Four: Will You Watch a Bad Movie Because of a Good Actor? Will You Watch a Bad Movie Because of a Good Actor? In brightest day, in blackest night, no bad review shall escape my sight. Green Lantern opens today, and the reviews are pretty terrible. Yet it stars the incomparable Ryan Reynolds, who could appear in a car insurance commercial and still imbue it with wry humor and rakish charm. Reynolds is an immensely likeable actor, particularly when he's in funny, sarcastic action mode. I'm curious whether the power of Ryan can overcome the general stench of the movie itself. I haven't decided yet whether to go see Green Lantern, but the mere fact that I've read the reviews and am still thinking about it should tell you all you need to know about the power of Ryan. You, sirs, are giant, metal disappointments. And it's not just actors; sometimes a franchise or a director can inspire this type of loyalty, too. I'll see any X-Files movie that comes along, no matter how disappointing. 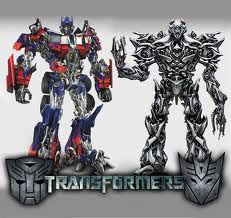 But my husband, a die-hard Transformers enthusiast, is so disgusted by the live-action movies that to even speak their names aloud is tantamount to heresy. I know people who will see any movie by the Coen brothers because even their weaker films are still interesting. And of course, some properties are review-proof; if the final Harry Potter installment gets panned by the critics, will it actually keep you out of the theater? Sometimes, blind loyalty to an actor or a brand trumps all other factors. So will you catch Green Lantern in theaters this weekend? And are there other actors or franchises whose overall appeal will get you into a theater even when the movie itself is lousy? Hah, I kind of loved Time Magazine critic Richard Corliss's take on Reynolds as a superhero: "Reynolds is so blandly amiable, so deeply Canadian, that the hallmark of a male movie star — the musk of danger — is something he doesn't radiate; he only simulates it." 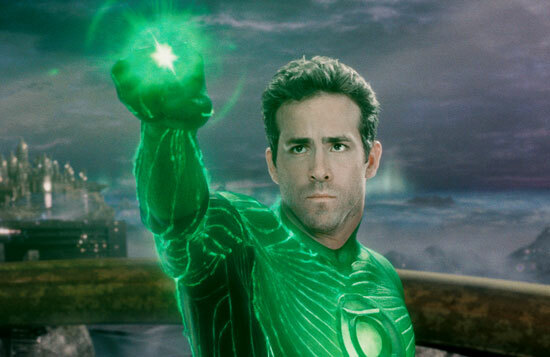 I'm definitely planning to Netflix Green Lantern because I love Ryan Reynolds. He's charming, very funny, and, besides, I've enjoyed the movie clips I've seen. His article in today's EW was clever and, in person, he's quick-witted and just as self-effacing. Sara, I'm finding my promise to "never exhale again!" a bit difficult. I may have to release my Ryan Reynolds used oxygen molecules. I won't front. I liked this movie, and I'm not sure why it's getting panned so badly. Yes, I think Reynolds is miscast - I kept wishing for Nathan Fillion - but he does okay. Blake Lively does a terrible simulation of a confident test pilot but is okay as the girly love interest. But I thought the story was interesting, the effects were great, and the whole Parallax thing was creepy. I shuddered at the mad scientist guy, for real. I say go see it, it was a good time. We saw it today, and I agree. It wasn't an X-Men or a Dark Knight or even an Iron Man, but it certainly wasn't an X-Men 3 or an Iron Man 2 or a Fantastic Four. It was decent, the Parallax WAS creepy, and RR was fun. Peter Sarsgaard and Tim Robbins are always great. The less said about Blake Lively, the better.